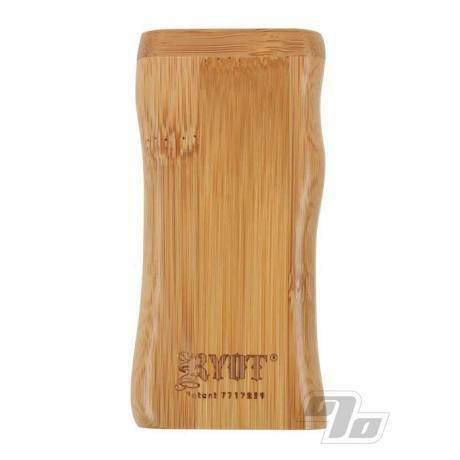 This RYOT Dugout smoking system is precision machined from Bamboo and with a dual-purpose magnetic twist top lid. This not only keeps the lid closed but also secures a steel poker in the bottom! Same size as your standard dugout, each consists of a box, a poker, and a cigarette style one hitter bat. 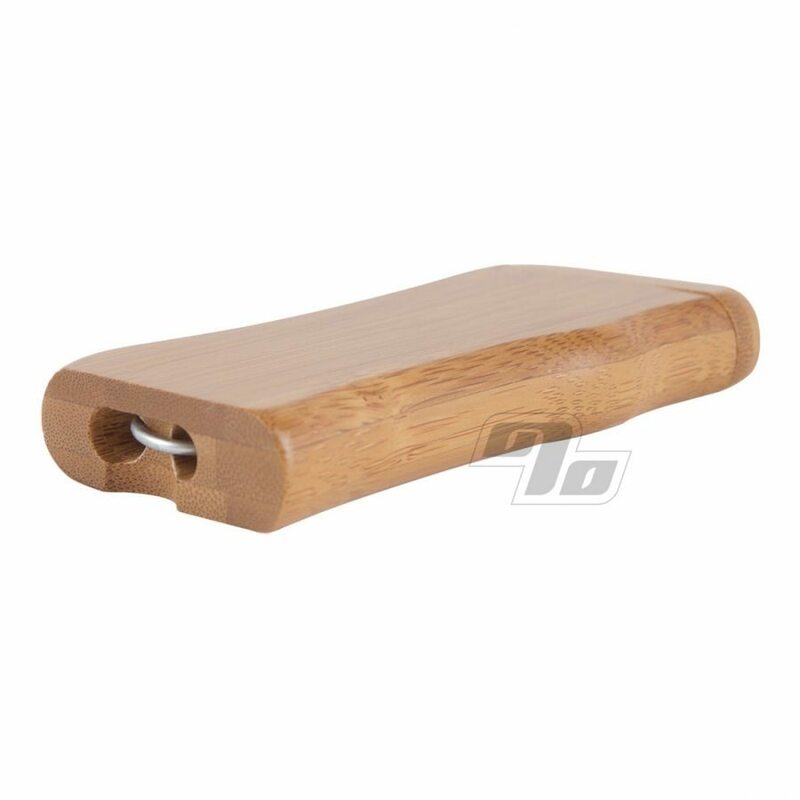 Two compartments; one holds your the cigarette one hitter bat, the other stores your herbs. The poker and lid are both held in place by an internal magnet. All precision machined and finished. 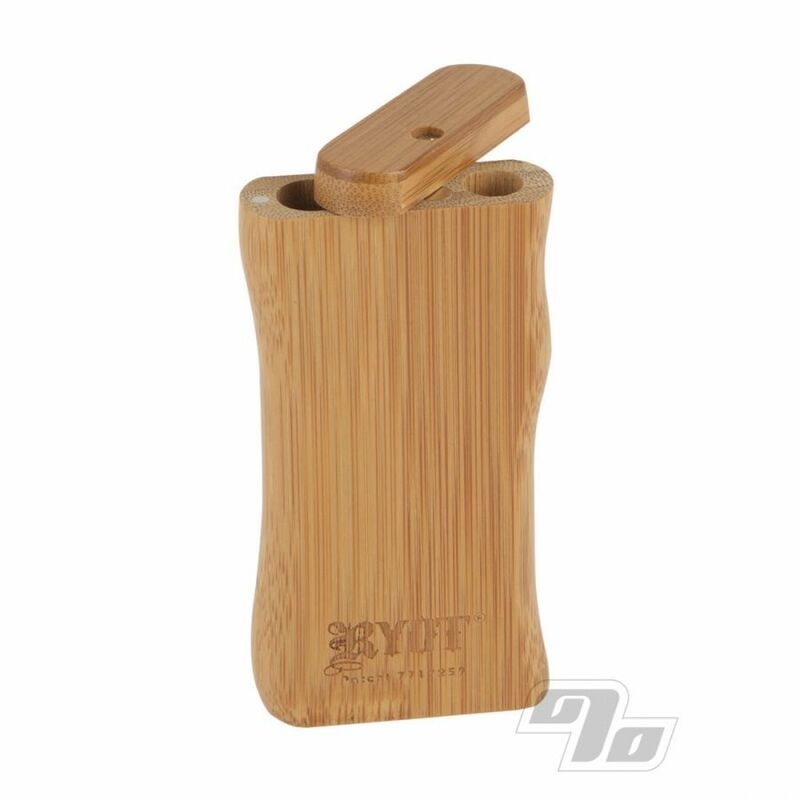 To use, twist open the lid of the RYOT Dugout, remove the one hitter, push the bat into the storage compartment and give it a twist. This will fill the end of the one hitter with enough smoking material for "one hit". When finished, simply use the included poker to clear the ash, replace the bat and poker, and twist close it up. RYOT Dugout smoking systems with the addition of a one hitter are ideal for when you are trying to quit cigarettes and want to reduce your intake of Tobacco. Also great for toking on legal herbs. Best dugout I had. Love that the lid is held closed with magnets. This is a great box! Handy, portable and just the right size! I've had mine for well over 2 years and going! Using the bamboo dugout is just like old times. A little one-hitter fits in the pocket and the entire thing is easy to stash in one's purse or fanny pack. The dugout is attractive and fits well in the hand. A definite must for old Hippies and young hipsters alike. Get product, fits the hand nicely. I have had dugouts in the past but this one surpasses them all! The added poker hidden in the bottom is amazing!!! This product is functional and small enough to take with you anywhere. Highly recommended for anyone looking to store their "product" fairly inconspicuously. Best dugout I've had. Nice price too.